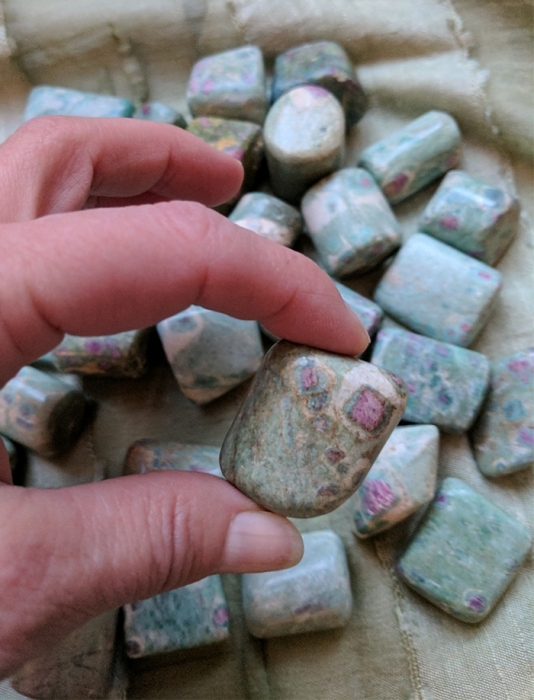 RUBY FUCHSITE is a money stone. 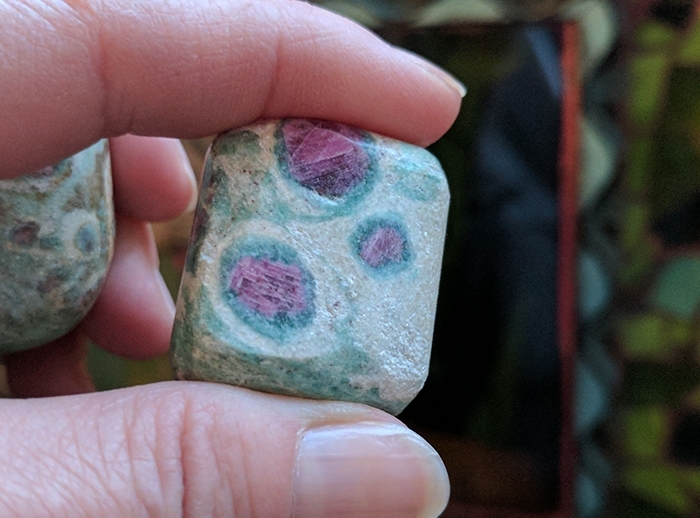 These cute tumbles are a combination of red Ruby with green Fuchsite. It is said that with a little of bit of ruby in your pocket money will never leave you. 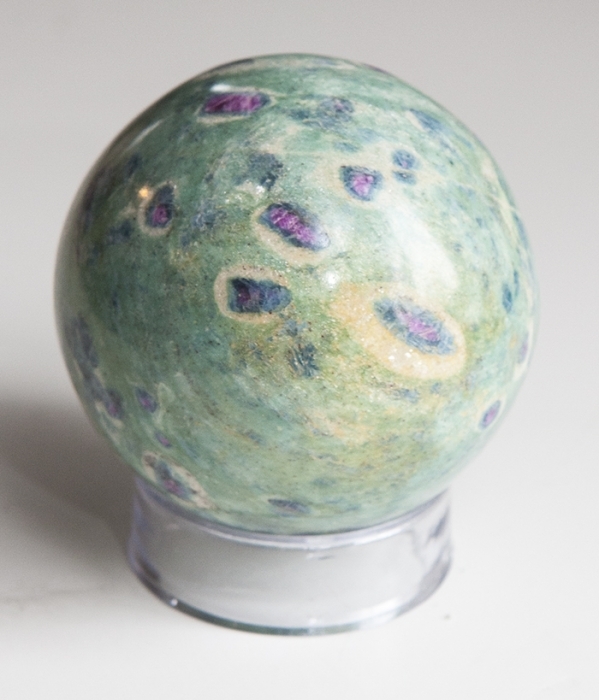 Ruby Fuchsite fires up enthusiasm and passion for life. It stimulates and balances your heart chakra. In your office or creative space it helps you follow your bliss. Place by your bed to promote positive dreams and give you clear visualizations. 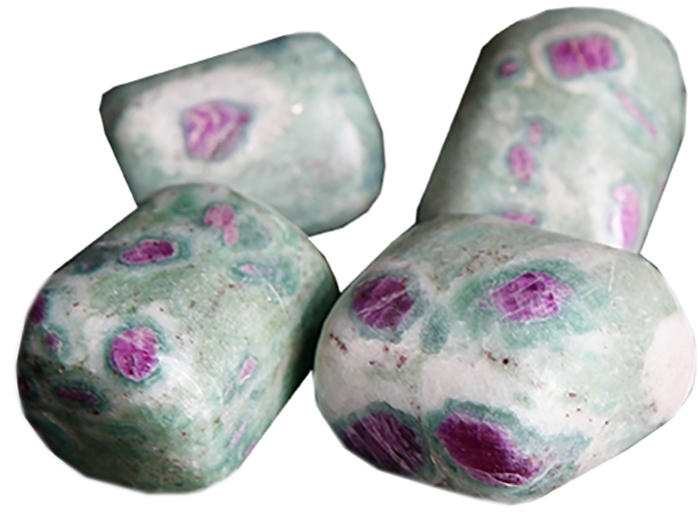 Ruby Fuchsite combines 2 crystals for money and passion for what you do, place on your desk or carry with you.